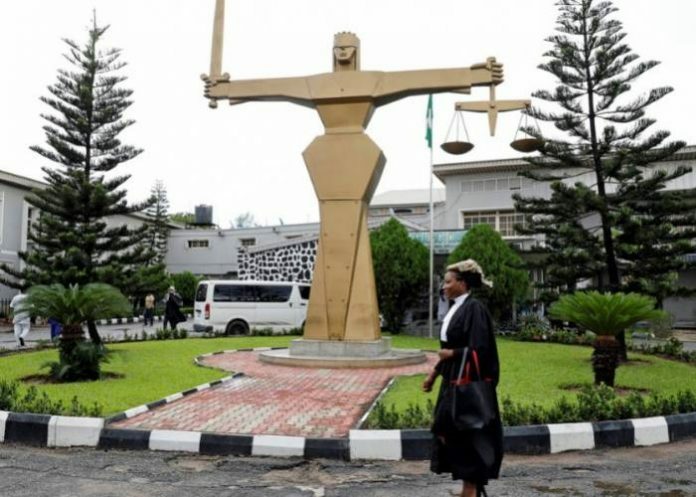 Justice Muslim Hassan of the Federal High Court in Lagos today set December 18, for the arraignment of the embattled President of the Nigerian Bar Association (NBA), Mr Paul Usoro (SAN), over an asserted N1.4 billion misrepresentation. Mr. Usoro who was followed to the court, arrived the court premises before 8: 00 AM before the court business began at 9:00 AM and endured till around 10: 30 AM. Promptly after the court session, Mr. Usoro was invited to the EFCC office. Usoro’s defence group was led by Wole Olanipekun (SAN) & Ifedayo Adedipe (SAN) while the EFCC was represented to by Rotimi Oyedepo (SAN). The case couldn’t go ahead as the court was briefed that the NBA President has not been formally served & the case was additionally dismissed till Dec.18 to empower the EFCC serve him. In the charge, recorded by the Economic and Financial Crimes Commission (EFCC), the NBA President was charged to have changed & laundered the cash in collaboration with the Governor of his state, Governor Udom Emmanuel of Akwa Ibom State. Emmanuel was notwithstanding, not recorded as a litigant in the charge, as the EFCC revealed that he seems to be “currently constitutionally immuned against criminal prosecution”. Also listed in the charges were one Nsikan Nkan, described as Commissioner for Finance, Akwa Ibom State; one Mfon Udomah, portrayed as the Accountant General of Akwa Ibom State; and the Akwa Ibom State Attorney General and Commissioner for Justice; and in addition Margaret Ukpe, every one of whom were said to be on the run. The EFCC claimed that Usoro in conspiracy with the others mentioned connived among themselves to commit the offense at some point in 2015 “within the jurisdiction of this honourable court”. The anti-graft agency asserted that the N1.4bn supposedly converted & laundered by the litigants belong to the Akwa Ibom State Government. Rotimi Oyedepo, who marked the charge sheet, said in the charge sheet the offense purportedly commited by the NBA President was in opposition to Section 18 (an) of the Money Laundering (Prohibition) Act, 2011.